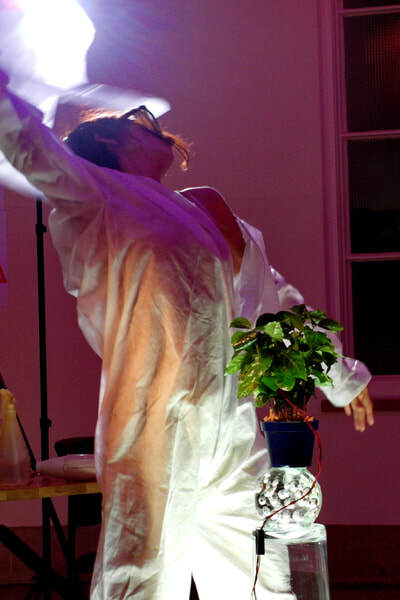 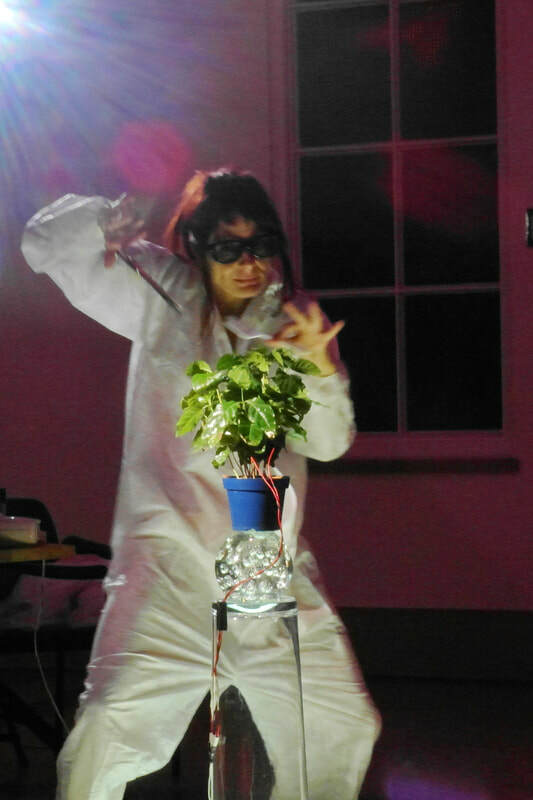 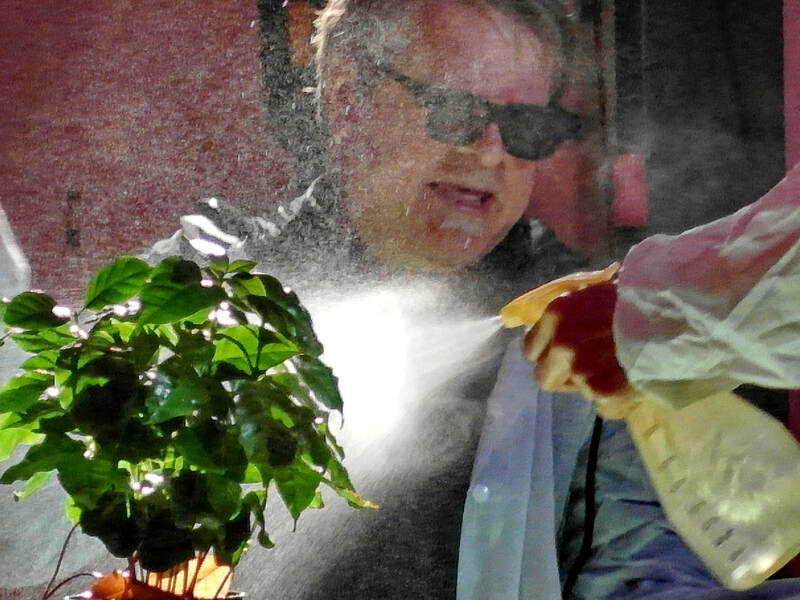 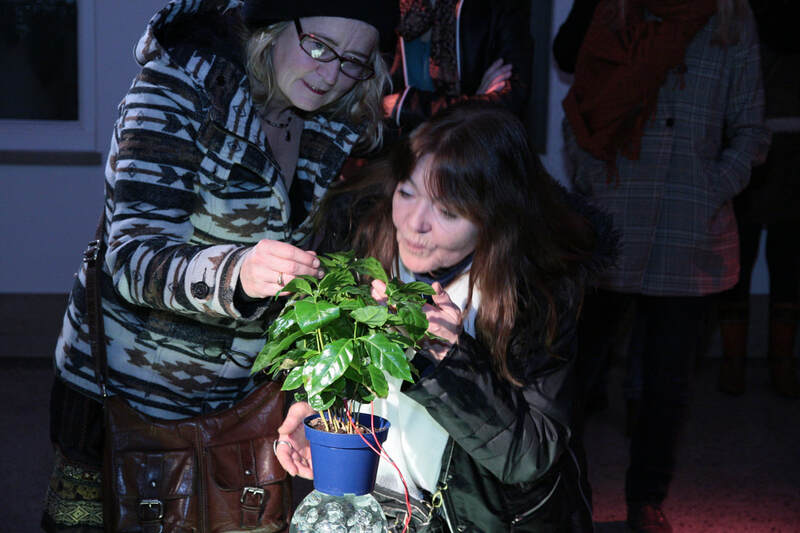 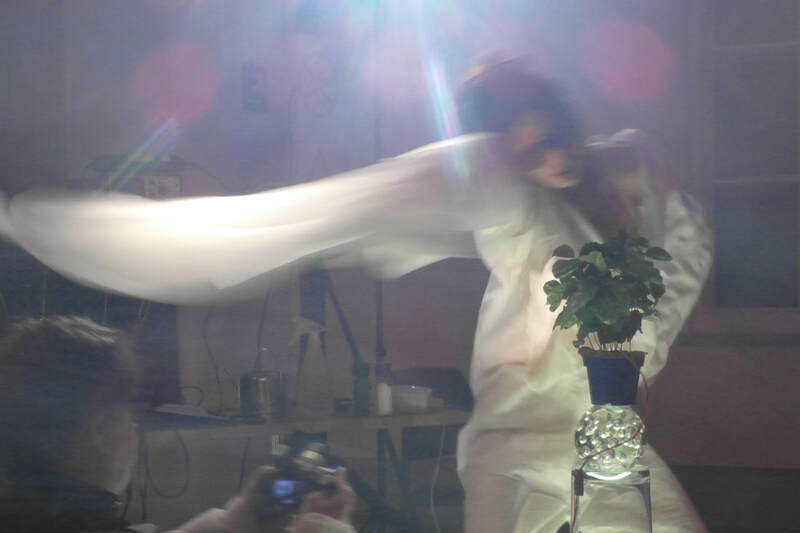 Flora Sonora, or the singing plant, or rather the whining, squealing shrub is an art-awareness installation and performance. 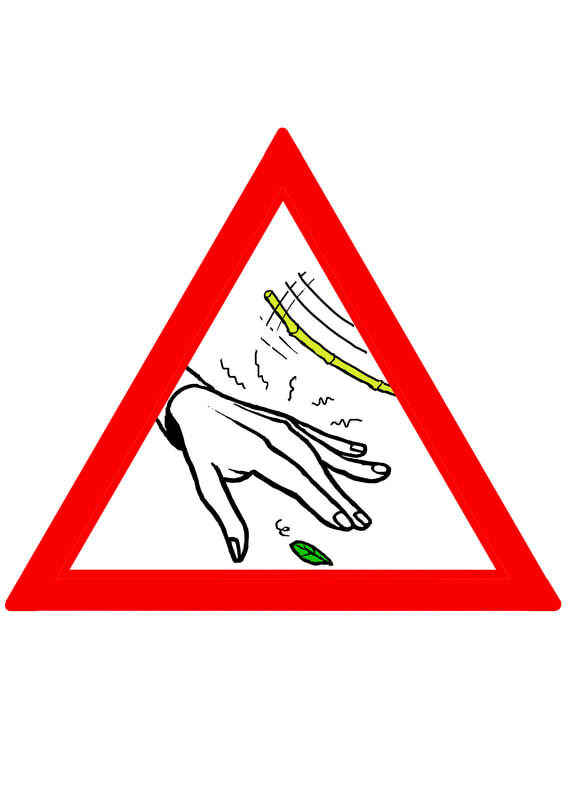 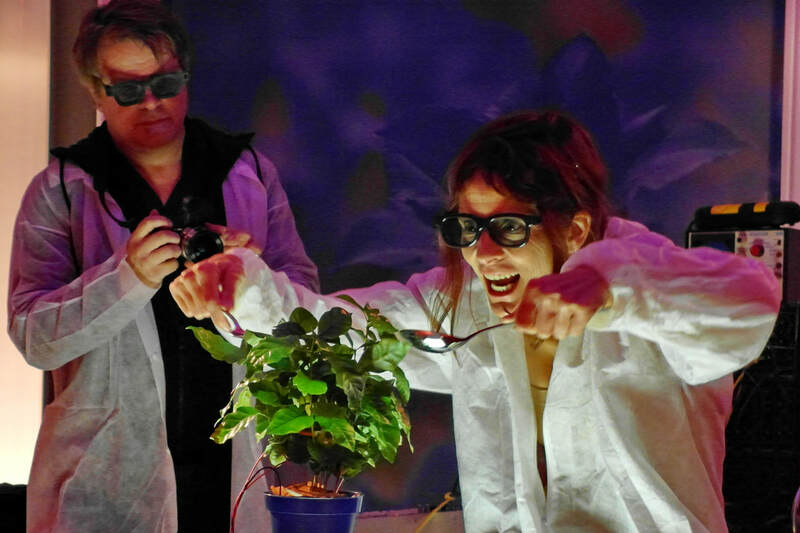 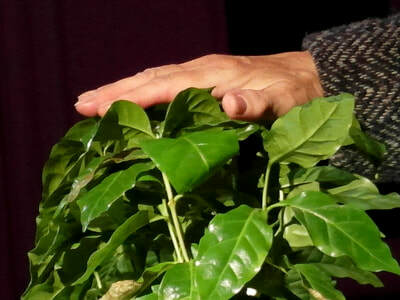 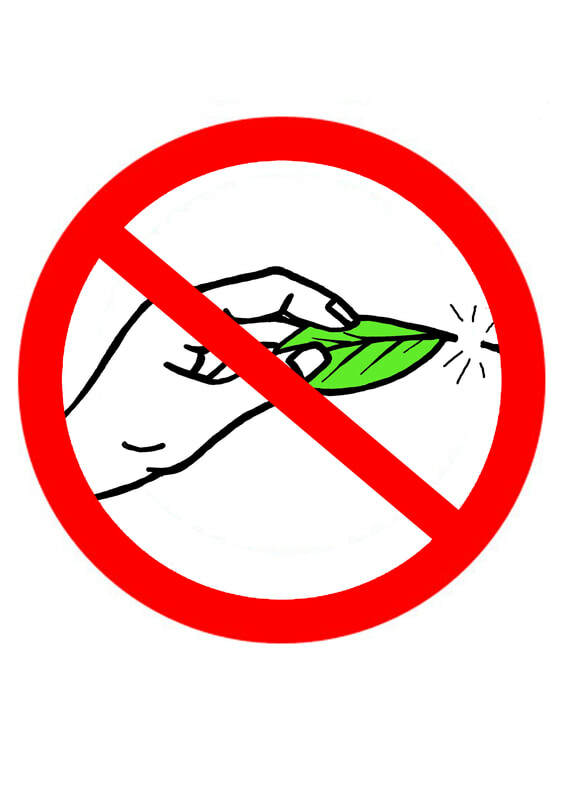 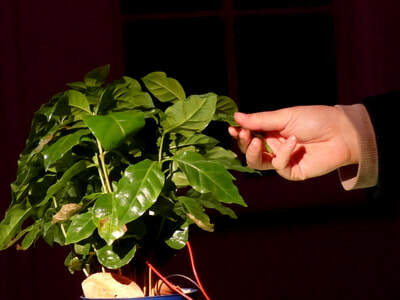 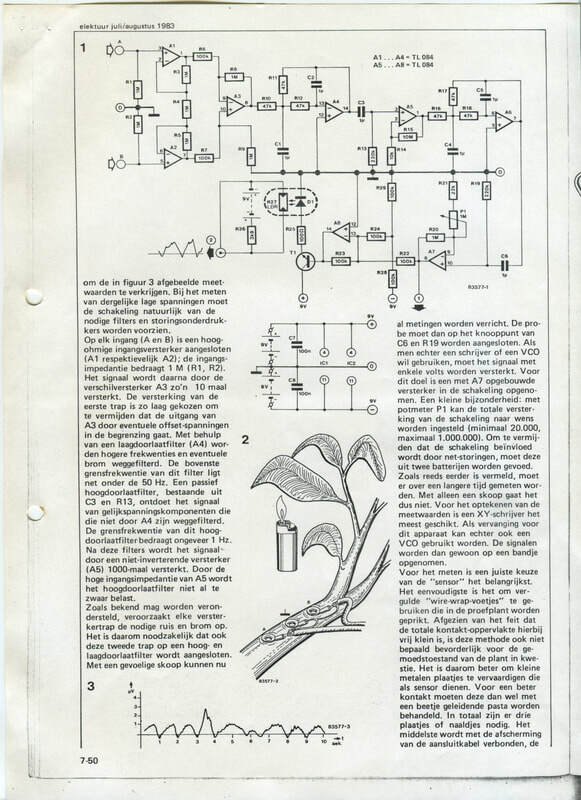 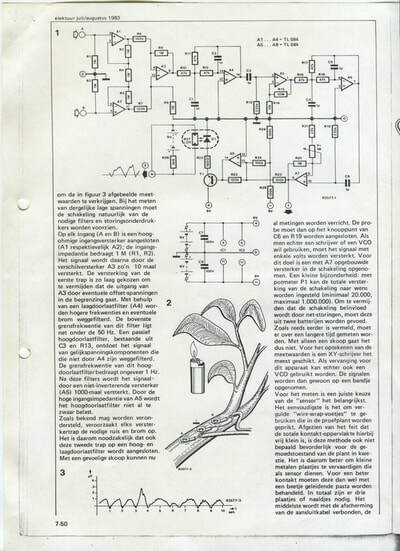 Small current variations, caused by interaction as touching the plant, are being sensed and amplified by an E.E.G. 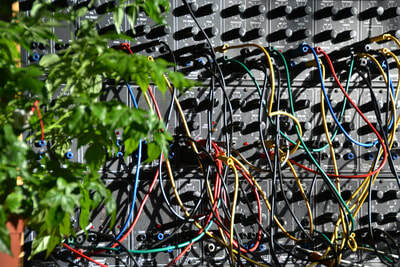 module which controls a synthesizer. 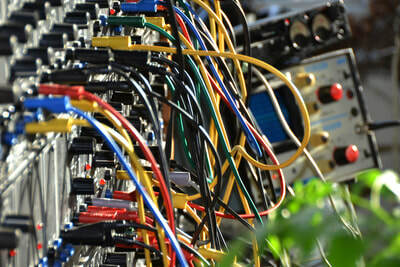 So the sound itself is designed, but the variations of the sound are caused by the interactions with the plant. 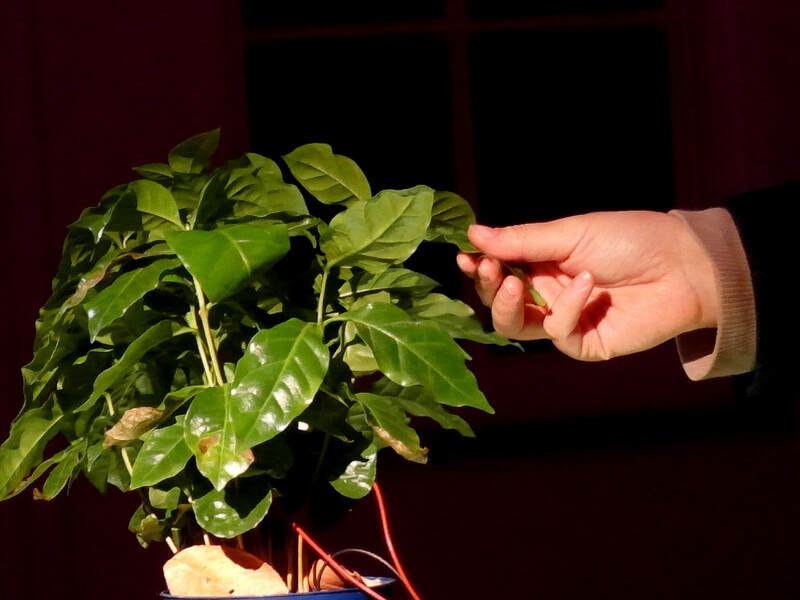 The plant reacts to touch and you can hear its response. 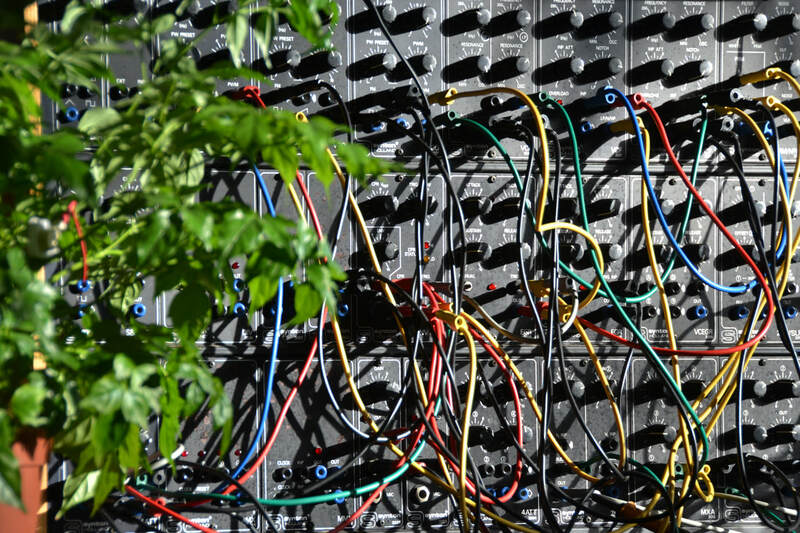 This installation was first shown some 30 years ago in the very first Tropism exhibition by means of the same Synton 3000 modular synthesizer that is a vintage collectors item by now (1987 - Bussum, 'de Vonk'). 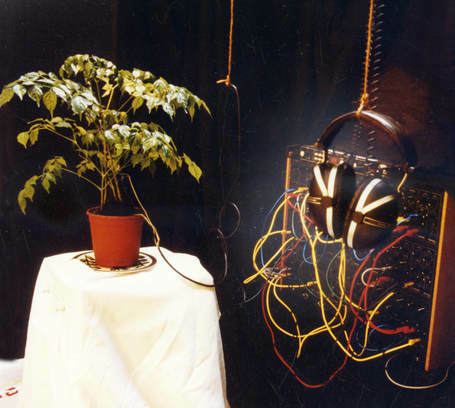 Below: early installation as part of the first Tropism exhibition in 1987, Flora Sonora, test set-up in 2012 and an article of Electuur 1982. 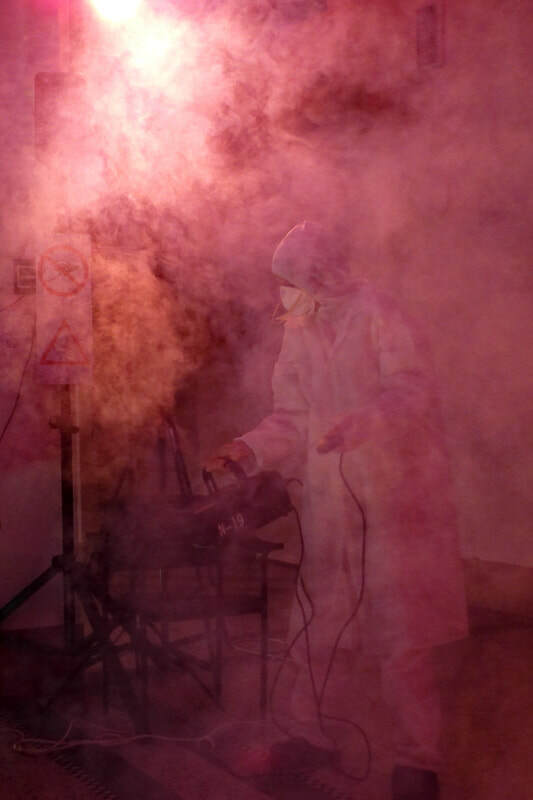 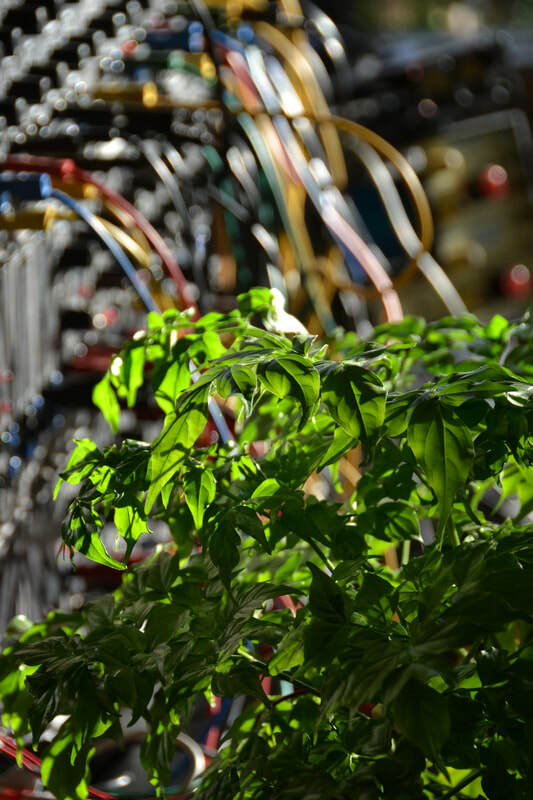 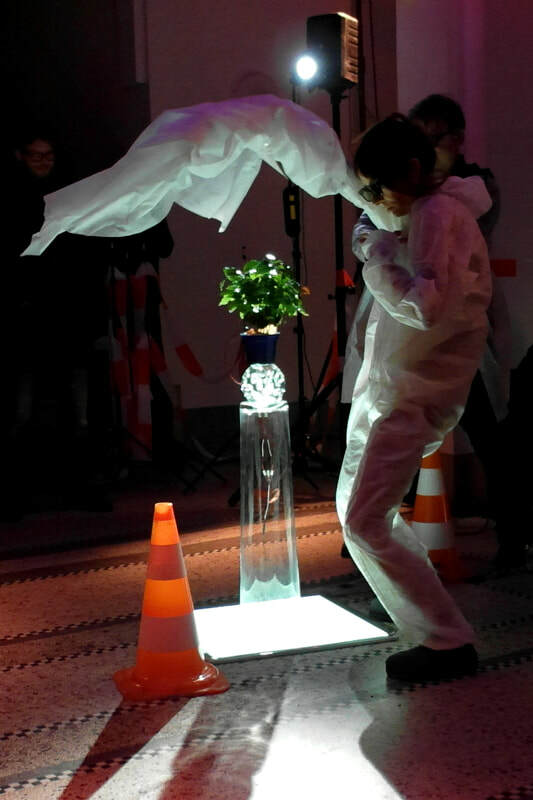 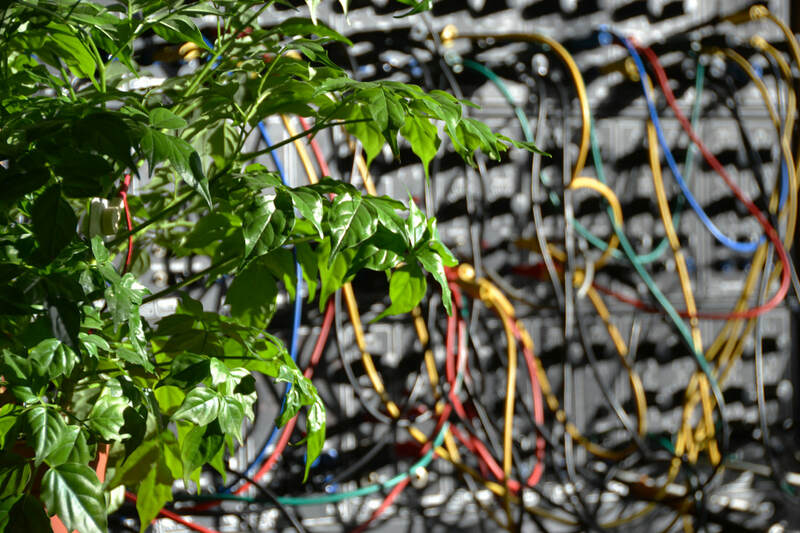 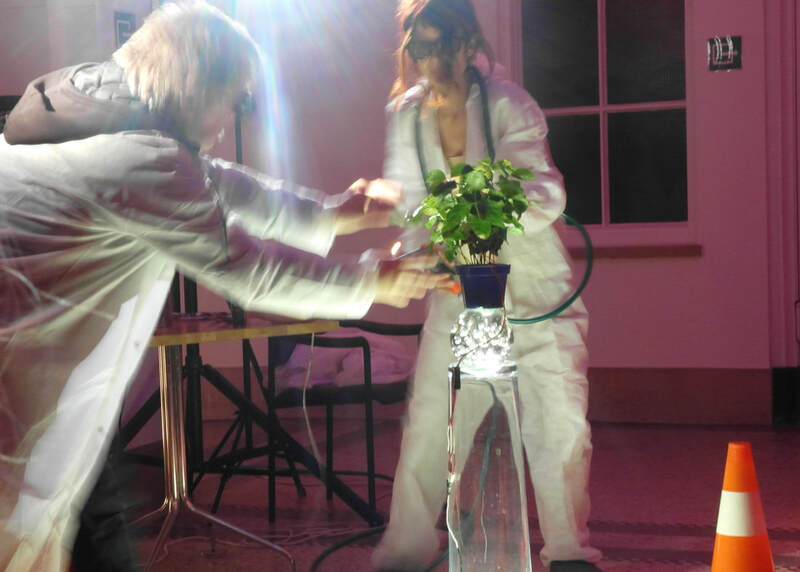 A performance version of Flora Sonora was made by Susanne Ohmann based on the installation. 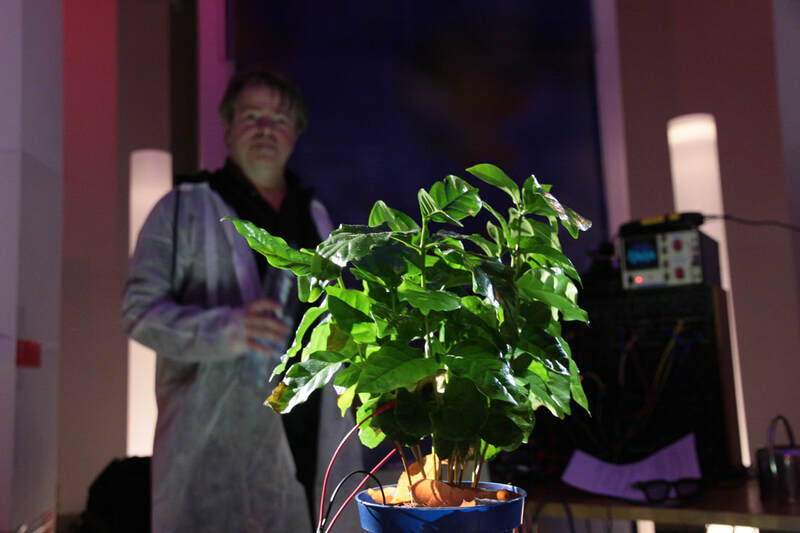 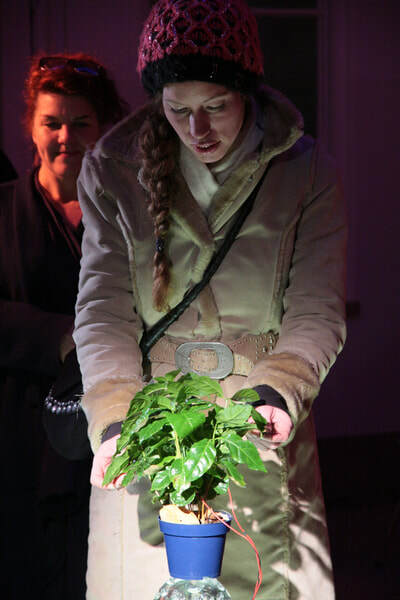 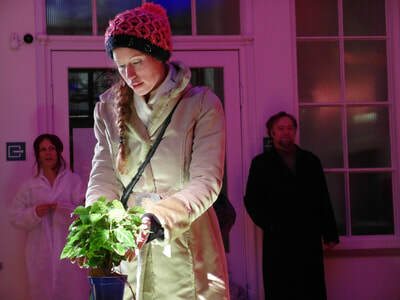 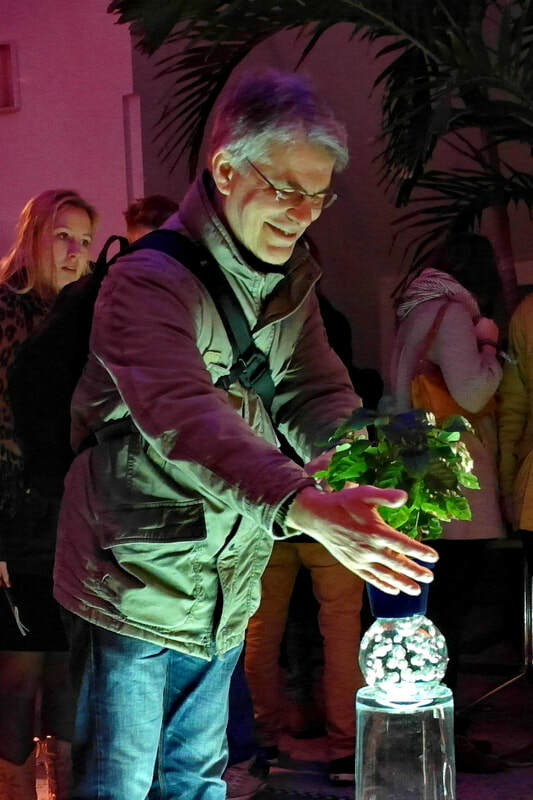 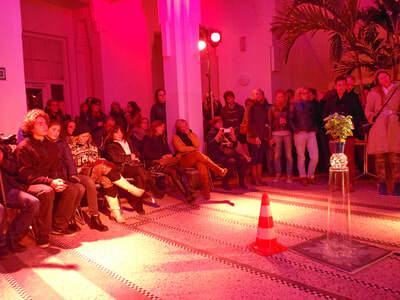 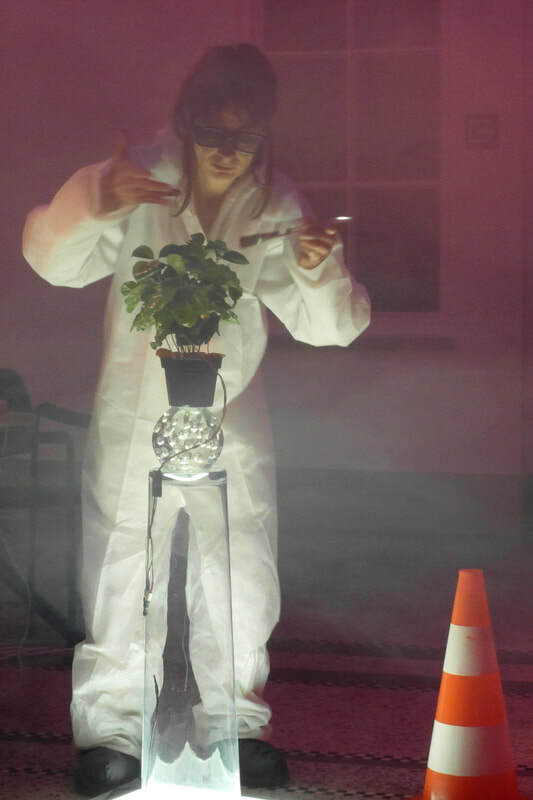 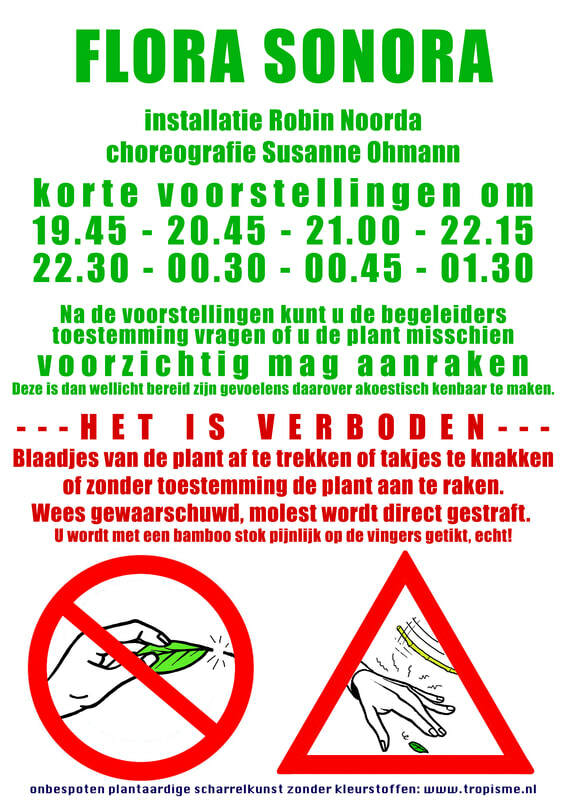 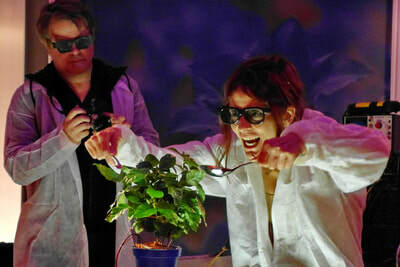 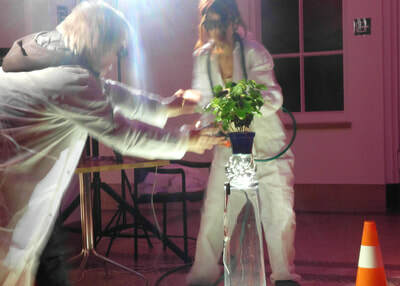 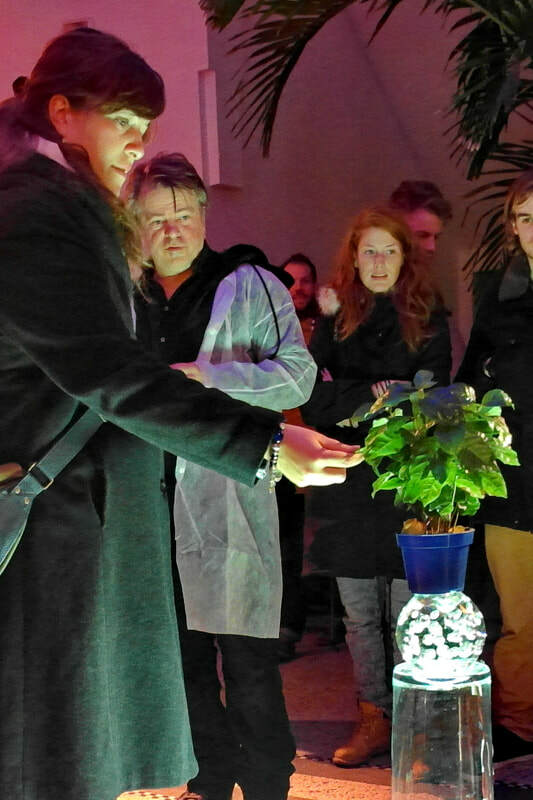 The performance was created specially for the 'Amsterdam museum night 2012' for the Hortus Botanicus Amsterdam as part of the Tropism Art program.